To Pasillas, Incandescence personifies energy in rhythm and energy in life. 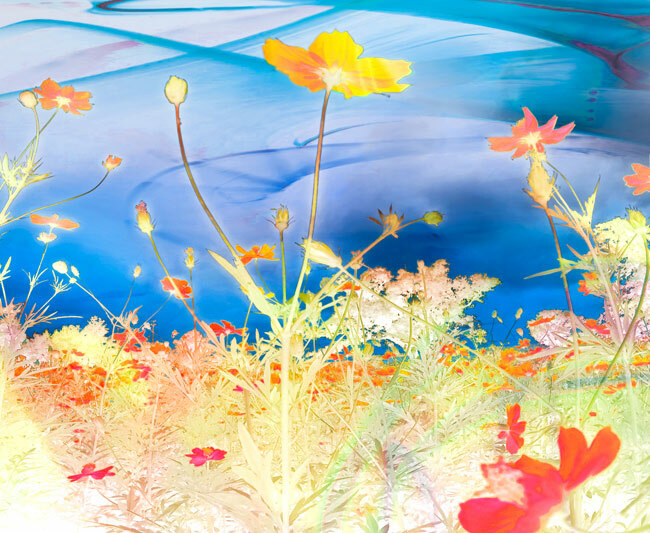 Through a landscape portrait inverted, there is an unmistakable radiance and heat that is only found in nature. Then combining imagery created from rhythmic capturing, the sky embodies it's own wave of energy and life. Once sky and land are combined, there is a unique contrast that draws viewers into the work. Measuring 30"x 18" on canvas, there are a total of 75 in the edition of Incandescence. All are numbered and individually signed Jose Pasillas. Artwork ships with signed Certificate of Authenticity from SceneFour. Jose Pasillas has led an extraordinary creative journey. 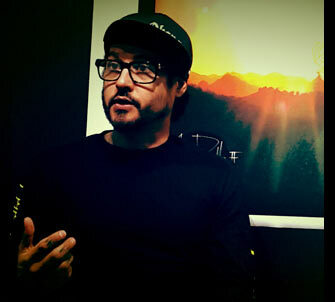 As the founding drummer of Incubus, Pasillas has sold millions of records, toured the world many times, and provided some of the most recognizable rhythms in modern rock. As a fine artist, he has dedicated significant time to explore, produce and release visual work in a multitude of mediums. Pen and ink, paint, stencil, and digital art are just a few of the methods he's utilized in his artwork. He's also one of the pioneers in a medium led by drummers dubbed "rhythm-on-canvas". As many saw in his 2013 release "Abstract + Rhythm Landscapes", Pasillas showcased how utilizing drumsticks that light, much like a painter uses paint brushes, can produce unique abstract visuals. Pasillas' 2013 collection holds the unique place of the fastest selling collection in art publisher SceneFour's history. 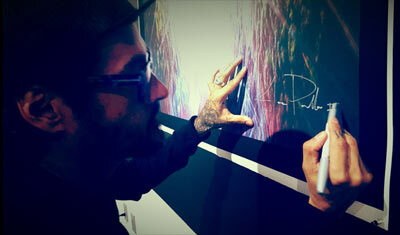 With the new Rhythm of Life collection, Pasillas is unveiling 13 new works, highly limited in edition size, to the world. This collection is a true fusion of mediums and a highly personal release too. Taking imagery from Pasillas' travel as well as locations near his home, the artwork featured incorporates photography, rhythmic art, and several works also include elements done in pen/ink before being laid to canvas. Rhythm of Life is a new collection of 13 works on canvas by Jose Pasillas. Crafted over a 12 month period, the artwork featured in the collection is fusion of Jose's personal photography mixed with the colors and abstract visuals created by capturing rhythm through light movement. Several pieces in the collection also incorporate Jose's pen and ink drawings laid into the visuals before they are put to canvas. The photographs featured in the collection are a mix of images taken on the road by Pasillas during Incubus' 2015 tour. Locations featured include Bangkok, Moscow and Osaka. Also included in the collection are landscape photographs taken near Jose's Southern California home. 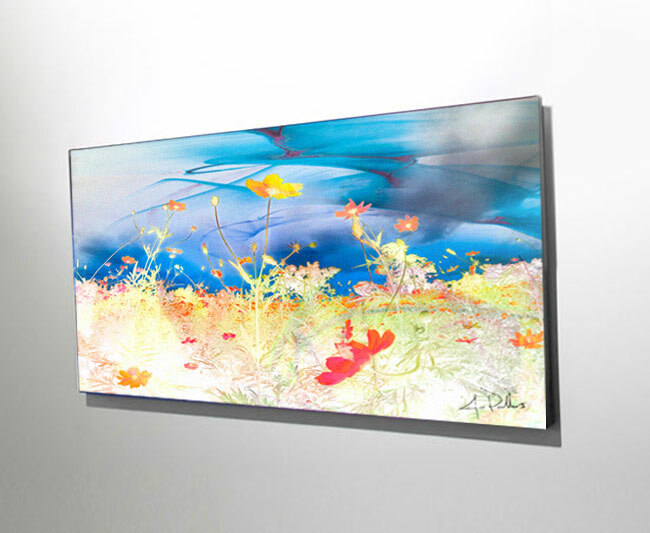 Incorporated into this imagery are vivid colors, textures and designs that are made from the medium of rhythm-on-canvas. Like a painter using brushes with oils of different colors, Pasillas worked with drumsticks that light in a variety of ways to build and capture rhythms through open shutter photography. This process results in abstract visuals that are vibrant and rhythmic. Once combined, the photographs and the rhythmic work produce a unique visual journey for viewers that one can describe as the "Rhythm of Life."